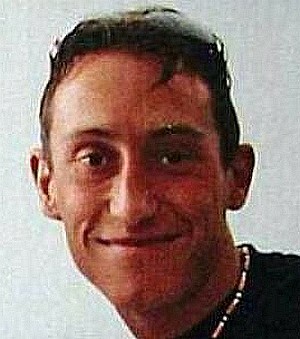 Thirty one year old Stefano Cucchi died on 22 October 2009 in Rome, Italy, during the precautionary custody. This fact gave rise to a famous case that involved some prison police officers, some doctors from the Regina Coeli prison, and some Carabinieri. On the occasion of the last, recent investigation, during the hearing of October 11, 2018, one of the defendants among the officers admitted the beating, calling into question his colleagues. The Minister of the Interior Matteo Salvini has invited Stefano's sister to meet him, but Ilaria Cucchi has declared that she will do it when she will receive his apologies. Excuse me, so that the thing that most affected me closely – that you frequented the drug addiction communities of CEIS when I was still working there, I discovered it only after your death. Excuse me too, and so every inhabitant of this fragmented country, if we have not yet understood that what in your life concerned us was everything. Everything we observe, of lives like yours, but we very easily forget, and what we do not see because we choose to look at the pleasant side of the monitor. Sorry, really, for those who have not yet apologized. I am also sorry for those who insist on using drug addiction like the sin that often absolves everyone, even the real culprits. For this reason, you and all the others, misunderstood souls, excuse us for having exchanged your fragility for a damn syringe or a handful of miraculous dust. To the point that the incurable addicts of that forbidden stuff are those who sell it, talk about it, earn it, but never use it, taking advantage of the naive victims on the way. Sorry, Stefano, if many people needed to watch you on a movie, to think about your story. Excuse us, then, for the truth that many do not say. That everything we read on the newspapers, we have seen on the irrefutable evidence of your flesh with impunity disfigured, and shamefully disgraced by the politicians who over time have succeeded, we already knew. Sorry, Stefano, because you were born in a nation that denies the evidence until death, and for some – as in your case, even years later. Sorry, because despite what happened to you, observing the current government I have the distinct impression that it will happen again to others. Sorry, because I'm afraid it's happening right now, where intervention requires a civil conscience and simple human empathy we do not yet have. Send our apologies to your sister and your whole family, not for today's silence, but for the indifference and even the hostility of yesterday. Sorry for your brothers of fate lame martyred under an even thicker veil of bitter injustice. Sorry, because words, now, are of little use. Sorry, Stefano, if maybe one day we will be able to lay the foundations for a society of enough civilization to make your story as inadmissible. Because in that case we will realize that it would have not took much to save your life and that of too many like you. Sorry, therefore, for every moment of your descent towards the end when someone could have grabbed your hand and brought you back to the surface. Sorry for legalized violence, Stefano, sorry for all those who still today, at this precise moment, work incessantly at every level, with gestures and words, laws and proclamations to keep alive the fire of hatred between us. Sorry for the future you did not have. Sorry if many have not yet understood that when it is the State to kill means that we are all guilty, which is not only the task of family members or friends of the victim, to remedy, to make sense of the unacceptable grief and do every effort to ensure that social crimes do not happen again. I could and we could go on apologizing to you until we breathe and maybe we should. Because the preservation and defense of memory must begin with the facts which we are most ashamed of. We will start from here. Stefano Cucchi is guilty for his own death?